Busta Rhymes has announced the release date for "Calm Down," his collaboration with Eminem. The song is set to be released July 1, according to an announcement that was made on Twitter. "IT'S OFFICIAL!!! THE CONGLOMERATE ENT. 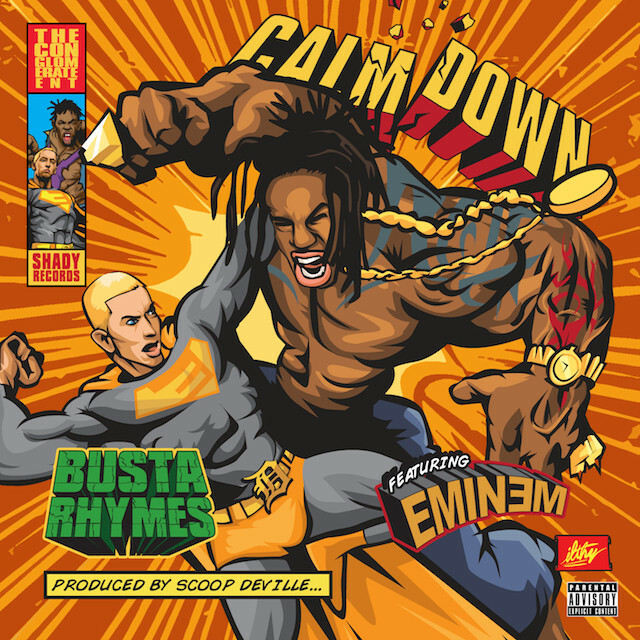 PRESENTS... BUSTA RHYMES FT. EMINEM "CALM DOWN" IS COMING JULY. 1ST," Busta Rhymes says in a Twitter post. Busta Rhymes made this announcement today (June 27). In September 2013, Rhymes spoke on a collaboration with Eminem. It is unclear if the song he was referring to in 2013 is "Calm Down."